itch.io Community » General » General Discussion · Posted in I want to play your under-viewed games! Please check out the demo for my game, Horace! Horace is a story-driven, pixel platform adventure about a small robot on a big adventure. Think cinematic cutscenes but with little pixel guys,all tied together with traversal challenges that will test your brain as much as your abilities! The demo will showcase approx. 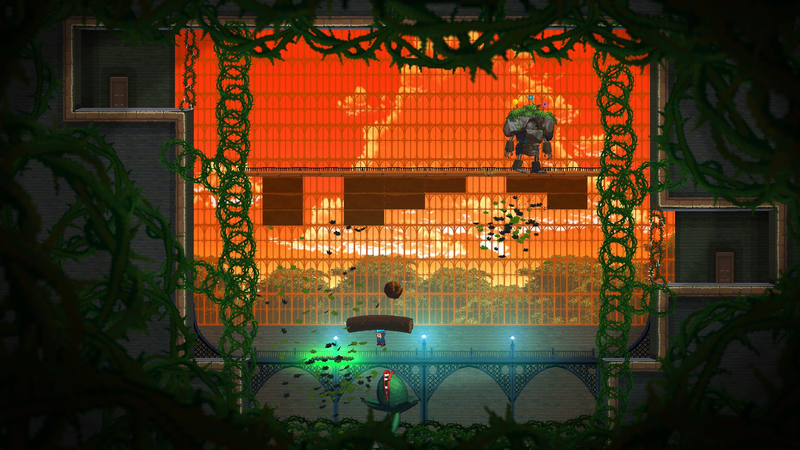 2 hours of game play as it branches out into the more metroidvania style later in the demo! Would be great to hear your feedback! And be sure to share your YouTube channel so we can all check it out. Thanks tomcheshire for the positive feedback! I really liked your play through and commentary and you still have plenty left to see in the demo ;) I hope you enjoy the rest of the demo as much as the first 10 mins. I'm also really happy that you enjoyed the story elements too and feel this was unique - that was my intention. I have one small favour to ask, if you wouldn't mind leaving a rating for the game that would really help other potentials players see the quality of the game. Hoping to release the full game early next year so hopefully not long to wait now! itch.io Community » General » General Discussion · Replied to Indigo Publishing in Can you recommend me some free high quality games ? First of all thank you, I really appreciate you playing the demo, leaving your feedback and creating content for others to enjoy! I'm really happy the story has connected with you so strongly. There will be plenty more story to uncover when I release the final game and I look forward to hearing your thoughts on the full experience when its ready. I will send round updates here on Itch and on my Twitter channel so I'm sure you won't miss it. I'll keep an eye out for the videos you will be posting and happy to share on Twitter too. I hope you enjoy it when you get some time to try it out. Would be really interesting to hear your thoughts. Thanks for taking the time to check Horace out! itch.io Community » General » General Discussion · Posted in Can you recommend me some free high quality games ? Looks like I won't be bucking the trend of self promotion but I have a couple of games to suggest! First is to check out my pixel platforming game, Horace. It's only a demo at the moment but I think there is still plenty of quality to see from the approx. 2 hours of game play you will get! Please let me know your feedback too. Not a horror game unfortunately but hopefully one you will still enjoy nonetheless! Please check out the demo for my game, Horace! Would be great to hear your feedback! Thanks for your support. Good luck with your new Youtube channel! itch.io Community » General » General Discussion · Replied to CaptainD in What can we, as devs, do to help Itch.io expand? itch.io Community » General » General Discussion · Posted in What can we, as devs, do to help Itch.io expand? itch.io Community » Game Development » Help Wanted or Offered · Posted in Help Offered: New YouTuber Looking to Promote your game! Please try the free demo for my game. Horace is a story-driven, pixel platform adventure about a small robot on a big adventure. Think cinematic cutscenes but with little pixel guys,all tied together with traversal challenges that will test your brain as much as your abilities! The demo will showcase approx. 2 hours of game play as it branches out into the more metroidvania style later in the demo! Thanks for taking the time to check out my game. Quick Bio of Game: Horace is a story-driven, pixel platform adventure about a small robot on a big adventure. Think cinematic cutscenes but with little pixel guys,all tied together with traversal challenges that will test your brain as much as your abilities! The demo will showcase approx. 2 hours of game play as it branches out into the more metroidvania style later in the demo! How long the Game was in development and if it's still in development, early access, or complete: I've spent the past 6 years developing Horace! It's still in development but edging closer to launch. At this moment in time, I estimate I will release the final version early next year. Why you became a game developer in the first place: I played Space Invaders when I was about 4 and it's all I wanted to do since! It's all I have done for the past 25 years. I hated school as it got in the way of my pixelling at home. 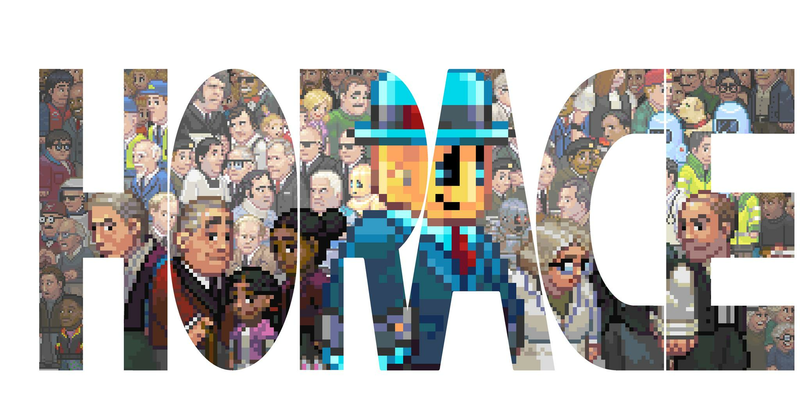 Try the free demo for my story-driven, pixel platform adventure game, Horace. There is approx 2 hours of game play available in the demo and you will get a mixture of story content and puzzle platforming challenges! Thanks Andy for the informative post. Promoting games is a completely new prospect for me - I'm definitely better at making games than marketing them. Will give Reddit a try! itch.io Community » Game Development » Release Announcements · Created a new topic Horace - A Story-Driven, Platform Adventure Game - Demo Now Live! After 5 years of working tirelessly I am really pleased to announce the launch of a free demo for my passion project, Horace. Please come try it out - your feedback is much appreciated! Horace is a story-driven platform game starring a naive robot learning about the meaning of his life but later ends up trying to save the world as the story takes an apocalyptic turn. That's not all in the demo so you’ll just need to trust me. You will encounter ability upgrades that will test you brain as much as your traversal skills. Couple this with the cinematic story telling and I really think you end up with a unique experience! The demo will give you roughly the first hour of the game so this is where you will get a real sense of the story and then the second half is where you get more of the Metroidnavia style of game play shining through as you explore more of the house. Thanks for taking the time to check out Horace!